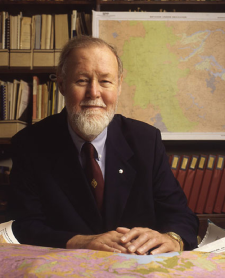 Roger Tomlinson, universally acknowledged as the father of ‘Geographical Information Systems’ (GIS), died at his home in San Miguel de Allende, Mexico. In recognition of his academic and public-orientated achievements, Tomlinson was recipient of a vast array of distinguished honours including the Canadian government’s highest civilian award, the Order of Canada. Tomlinson was an Honorary Fellow of the RGS-IBG and was recipient of its Murchison Award.